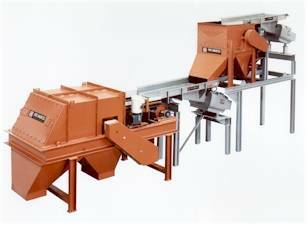 Eriez® manufactures a broad assortment of Eddy Current Separators to recover aluminum, copper and other nonferrous metals. The company produced a video that provides viewers an up-close look at the performance of an Xtreme® PET Eddy Current Separator. Eriez’ Xtreme PET Eddy Current Separator separates nonferrous materials in post-consumer PET bottle recycling, efficiently removing aluminum, brass, bronze and copper. This powerful separator is also extremely effective for plastic flake and regrind recycling.